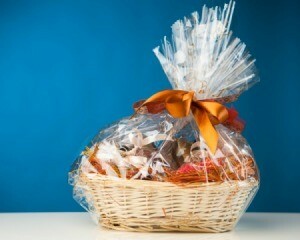 Rather than buying filler for your homemade gift baskets you can use materials that you already have. This is a guide about making filler for gift baskets. If you save all your gift wrap paper, here's a great use for it. Put it through a paper shredder and use it as your filler. Match the color to the theme of your basket. The paper can be older or wrinkled, but remove all the tape before you run it through the shredder. I make tons of gift baskets each year and decided to try this. Now I have a free source and great upcycle use. Making a "Basket of Sunshine"